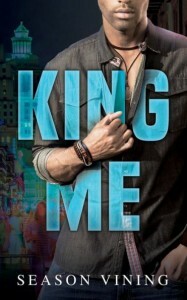 *King Me (African American Romance Deal of the Day, Sponsor, Secrets, mystery, voodoo, murder, tragedy, and a love story all in one book) by Season Vining. Price: $2.99. Genre: African American Romance Deal of the Day, Sponsor, Secrets, mystery, voodoo, murder, tragedy, and a love story all in one book. Rated 5 stars on 16 review. ASIN: B07L8GR4WM. 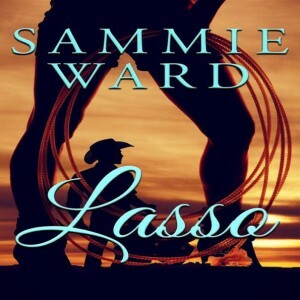 *Lasso (LoveStorm Romance) (African American Romance Deal of the Day, Sponsor) by Sammie Ward. Price: $2.99. Genre: African American Romance Deal of the Day, Sponsor. Rated 4.7 stars on 5 review. Paperback version! or Smashwords version! ASIN: B07FDQT1P8. 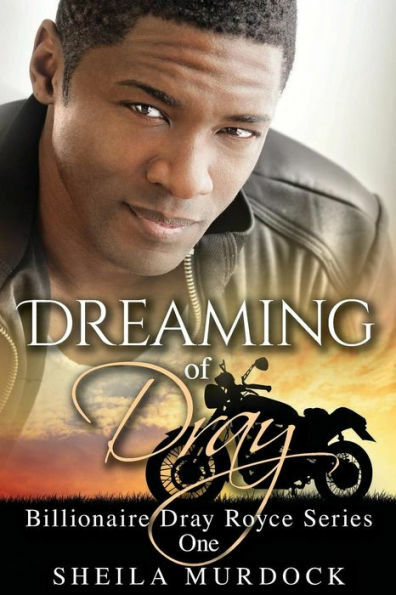 *Dreaming of Dray: Billionaire Dray Royce Series #1 (Paperback) (African American Billionaire Romance Deal of the Day, Sponsor, Urban Romance) by Sheila Murdock. Price: $9.99. Genre: African American Billionaire Romance Deal of the Day, Sponsor, Urban Romance. Rated 4 stars on 2 review. 265 pages. ASIN: B07HMGT19T. *An Uncommon Folk Rhapsody (Historical Romance Deal of the Day, Sponsor, Alabama Plantation Romance) by C.J. Heigelmann, Terrie M Scott. Price: $0.99. Genre: Historical Romance Deal of the Day, Sponsor, Alabama Plantation Romance. Rated 4.6 stars on 26 review. ASIN: B077QB1RNN. *Cadence Untouched (New Adult Romance Deal of the Day, Sponsor, Who will be there for her, when the Boy of Summer is Gone) by Dakota Willink. Price: $3.99. Genre: New Adult Romance Deal of the Day, Sponsor, Who will be there for her, when the Boy of Summer is Gone. Rated 4.4 stars on 29 review. Paperback version! ASIN: B07K9L1RH1. *Nothing to Lose (The Blackbridge Series, #4) (Small Town Romance Deal of the Day, Sponsor, Ruthless Murderer strikes the farm again, can they put the killer away before their second chance at love dies) by Claire Boston. Price: $3.99. Genre: Small Town Romance Deal of the Day, Sponsor, Ruthless Murderer strikes the farm again, can they put the killer away before their second chance at love dies. Rated 5 stars on 1 review. 220 pages. Paperback version! ASIN: B07LC32N8D. * Strings: A Rockstar Romance thriller (The Black Eagles Series Book 1) (Paperback) (Rockstar Romance Deal of the Day, Sponsor, Exciting, Thrilling, Heart-pounding Read) by Kat Green. Price: $12.00. Genre: Rockstar Romance Deal of the Day, Sponsor, Exciting, Thrilling, Heart-pounding Read. Rated 4.5 stars on 49 review. 369 pages. ASIN: B00KZ6DO8O. *Beyond Risk (Romance Deal of the Day, Sponsor, She hoped moving back home would provide a safe haven but there’s a killer on the loose, Can the lieutenant protect her) by Connie Mann. Price: $7.49. Genre: Romance Deal of the Day, Sponsor, She hoped moving back home would provide a safe haven but there’s a killer on the loose, Can the lieutenant protect her. Rated 4 stars on 24 review. Paperback version! ASIN: B07GC4KXSM. **Purple Reason (Paperback) (Conspiracy Thriller Deal of the Day, Sponsor, The New President knows that the Fight to Bring Real Change to Washington could get Ugly, but he never Imagined how Far Worse it could Get) by Doug Mennen. Price: $16.99. Genre: Conspiracy Thriller Deal of the Day, Sponsor, The New President knows that the Fight to Bring Real Change to Washington could get Ugly, but he never Imagined how Far Worse it could Get. Rated 4.7 stars on 74 review. ASIN: B01M3QF0QI. *The Corpse Whisperer (An Allie Nighthawk Mystery Book 1) (Cozy Mystery Deal of the Day, Sponsor, The mob and a powerful necromancer will stop at nothing to take them down) by H.R. Boldwood. Price: $0.99. Genre: Cozy Mystery Deal of the Day, Sponsor, The mob and a powerful necromancer will stop at nothing to take them down. Rated 4.9 stars on 16 review. 344 pages. ASIN: B07HHFC3RS. *** Luthecker (Suspense Thriller of the Day, Sponsor, A Good Solid Thriller) by Keith Domingue. Price: $0. Genre: Suspense Thriller of the Day, Sponsor, A Good Solid Thriller. Rated 4.5 stars on 160 review. 360 pages. ASIN: B0764DGYC4. *A Time For Murder (The Victor Sexton Series) Book 2 (African American Thriller Deal of the Day, Sponsor, Can He Save an Innocent Man) by Sammie Ward. Price: $3.99. Genre: African American Thriller Deal of the Day, Sponsor, Can He Save an Innocent Man. Rated 5 stars on 1 review. 150 pages. Smashwords version! ASIN: B07LGGYBYJ. *The Black Kiss of Death: Montega Chronicles Book 1 (Paperback) (African American Thriller Deal of the Day, Sponsor, Crime Thriller, Los Angeles Underground Crime Syndicate) by Keon Smith. Price: $15.00. Genre: African American Thriller Deal of the Day, Sponsor, Crime Thriller, Los Angeles Underground Crime Syndicate. Rated 4.8 stars on 31 review. ASIN: B07H44XQHB. *The 40 Day Fire: Burning Away All That Does Not Resemble Your Destiny (Christian Non Fiction Deal of the Day, Sponsor, Christian Self Help, Burn Away everything in your life that is standing between you and your destiny) by Jason C. Johnson Sr., Tiffany D. Johnson. Price: $2.99. Genre: Christian Non Fiction Deal of the Day, Sponsor, Christian Self Help, Burn Away everything in your life that is standing between you and your destiny. Rated 5 stars on 3 review. 150 pages. ASIN: B07MHB6JJP. *Eden at the Edge of Midnight (Fantasy Deal of the Day, Sponsor, A young woman’s quest for independence in a male dominated society) by John Kerry. Price: $2.99. Genre: Fantasy Deal of the Day, Sponsor, A young woman’s quest for independence in a male dominated society. Rated 4.1 stars on 31 review. 390 pages. Paperback version! ASIN: B009WG274A. ***A Star Curiously Singing (DarkTrench Saga, #1) (Futuristic Science Fiction of the Day, Sponsor, Very intelligently written and enjoyable) by Kerry Nietz. Price: $0. Genre: Futuristic Science Fiction of the Day, Sponsor, Very intelligently written and enjoyable. Rated 4.5 stars on 171 review. 253 pages. ASIN: B01A2R1RIO. ***The Secret Life of Mrs. London (Paperback) (Historical Fiction Deal of the Day, Sponsor, 1915 A Fascinating look at Houdini, Jack London and Charmain London, A Woman torn between two men while pioneering the Feminist Movement) by Rebecca Rosenberg. Price: $13.46. Genre: Historical Fiction Deal of the Day, Sponsor, 1915 A Fascinating look at Houdini, Jack London and Charmain London, A Woman torn between two men while pioneering the Feminist Movement. Rated 4.4 stars on 255 review. 320 pages. ASIN: B072KRP7MN. ***First Lessons: A Strong Woman in the Middle Ages (A Medieval Tale Book 1) (Paperback) (Historical Fiction Deal of the Day, Sponsor, Norse and Viking Myths and Legends, If you like Outlander, A Strong Woman in the Middle Ages) by Lina J. Potter, Elizabeth Adams (Translator). Price: $12.00. Genre: Historical Fiction Deal of the Day, Sponsor, Norse and Viking Myths and Legends, If you like Outlander, A Strong Woman in the Middle Ages. Rated 4.1 stars on 158 review. 290 pages. ASIN: B079318YMX. *Cover Stories (Volume 1: Sinners & Beginners) (Historical Fiction Deal of the Day, Sponsor, Famous Songs written as Stories) by Richard Easter. Price: $0.99. Genre: Historical Fiction Deal of the Day, Sponsor, Famous Songs written as Stories. Rated 5 stars on 7 review. 345 pages. ASIN: B07J554RRR. *The Sugar Merchant (Paperback) (Historical Fiction Deal of the Day, Sponsor, 11th Century, A Man trained by monks to be a scholar and a merchant and a spy) by James Hutson-Wiley. Price: $14.99. Genre: Historical Fiction Deal of the Day, Sponsor, 11th Century, A Man trained by monks to be a scholar and a merchant and a spy. Rated 4.7 stars on 4 review. ASIN: B07KJBTC58. **Ruby’s Fire (A Fireseed book, #2) (YA SciFi Deal of the Day, Sponsor, A World of Magic and Unexpected Romance) by Catherine Stine. Price: $2.99. Genre: YA SciFi Deal of the Day, Sponsor, A World of Magic and Unexpected Romance. Rated 4.6 stars on 42 review. 297 pages. Paperback version! ASIN: B00DDW84HS. *MY CELL PHONE CAN THINK: A Textbook on Artificial Intelligence (Paperback) (Children’s Book Deal of the Day, Sponsor, Learn the Basics of Artificial Intelligence, Clear and Understandable Read) by Michiro Negishi. Price: $29.99. Genre: Children’s Book Deal of the Day, Sponsor, Learn the Basics of Artificial Intelligence, Clear and Understandable Read. Rated 5 stars on 3 review. 146 pages. ASIN: B07JBHWCVC. *ABC Animal Group Name Book 1 Version II (Children’s Books Deal of the Day, Sponsor, Learn the Alphabet, Great for Young Kids) by Christopher Webb. Price: $15.99. Genre: Children’s Books Deal of the Day, Sponsor, Learn the Alphabet, Great for Young Kids. Rated 5 stars on 1 review. Please also Visit Website! *Forever: The Autobiography of Peter Pan & Confessions of Tinkerbell (Paperback) (Fiction Deal of the Day, Sponsor, ersonal Accounts of Much Loved Fictional Characters, InterDimensional Beings, A Fairy Girl Becomes an Adult in an Instant) by Rob Brockman. Price: $15.57. Genre: Fiction Deal of the Day, Sponsor, ersonal Accounts of Much Loved Fictional Characters, InterDimensional Beings, A Fairy Girl Becomes an Adult in an Instant. Rated 5 stars on 1 review. 449 pages. ASIN: B07CWCBJ7C. *Fury: An Urban Fantasy & Mystery (The Fae Awakening Book 1) (Fantastical Tales Deal of the Day, Sponsor, Interesting tale that combines elements of mythological creatures, magic and some of the actions taken to keep the fae realm separate from the human realm) by Will O’Shire. Price: $0.99. Genre: Fantastical Tales Deal of the Day, Sponsor, Interesting tale that combines elements of mythological creatures, magic and some of the actions taken to keep the fae realm separate from the human realm. Rated 4.4 stars on 12 review. 153 pages. ASIN: B07KYXXS8V. *The Chauvinist’s Guide to Modern Romance (Adult Graphic Novel Deal of the Day, Sponsor, Humorous look at sexual politics from a gender strategy point of view) by Morris Rollins. Price: $2.99. Genre: Adult Graphic Novel Deal of the Day, Sponsor, Humorous look at sexual politics from a gender strategy point of view. Rated 5 stars on 2 review. 65 pages. ASIN: B07B7CDFHN. *90 Days to Live: Beating Cancer When Modern Medicine Offers No Hope (Biography of Surviving Cancer Deal of the Day, Sponsor, An Inspirational and Heartwarming Story, One Couple’s battle against Cancer using natural therapies, and their triumph) by Rodney Stamps. Price: $9.99. Genre: Biography of Surviving Cancer Deal of the Day, Sponsor, An Inspirational and Heartwarming Story, One Couple’s battle against Cancer using natural therapies, and their triumph. Rated 5 stars on 12 review. 270 pages. Paperback version! ASIN: B07MFT4H8Q. *Rebooting Humanity: A Call to Awareness (Nonfiction Deal of the Day, Sponsor, Dazzling Opportunities that Come with the Technological Revolution, Reframing Robots vs Humans) by E.A. Kennedy. Price: $6.99. Genre: Nonfiction Deal of the Day, Sponsor, Dazzling Opportunities that Come with the Technological Revolution, Reframing Robots vs Humans. Rated 5 stars on 1 review. 264 pages. ASIN: B07J9N9X52. *Live True: A Mindfulness Guide to Authenticity (Nonfiction Deal of the Day, Sponsor, Discover, Awaken and Connect to yourself in a Mindful way) by Ora Nadrich, PhD Ronald A. Alexander (Foreword by). Price: $17.95. Genre: Nonfiction Deal of the Day, Sponsor, Discover, Awaken and Connect to yourself in a Mindful way. Rated 5 stars on 45 review. ISBN: 0578432102. *SECRETS To HEALTH: Exploring The Secrets To a Healthy DIET and Lifestyle, Inspired by the Ancient ESSENES (Nonfiction Deal of the Day, Sponsor, Exploring the Secrets to a Healthy Diet and Lifestyle, Inspired by the Ancient Essenes) by Florence Mabwa. Price: $9.49. Genre: Nonfiction Deal of the Day, Sponsor, Exploring the Secrets to a Healthy Diet and Lifestyle, Inspired by the Ancient Essenes. Rated 5 stars on 1 review. 289 pages. Paperback version! ASIN: B07LB8BN36. *Re-Inventing Our Lives: A Handbook for Socio-Economic “Problem-Solving” (Non Fiction Deal of the Day, Sponsor, Business and Money, Learn different Styles of Thinking, Tackle Challenges and Find Opportunities in Them, Re Invent Our Lives) by Mohamed Buheji. Price: $4.49. Genre: Non Fiction Deal of the Day, Sponsor, Business and Money, Learn different Styles of Thinking, Tackle Challenges and Find Opportunities in Them, Re Invent Our Lives. Rated 5 stars on 1 review. 578 pages. Paperback version! ASIN: B07L4H95R4. *Logitica: Improve Your Critical Thinking and Problem Solving Skills: The Brain Behind the Brain (Non Fiction Deal of the Day, Sponsor, Self Help, Strengthen your Reasoning and Critical Thinking Skills) by Neelabh Kumar. Price: $23.49. Genre: Non Fiction Deal of the Day, Sponsor, Self Help, Strengthen your Reasoning and Critical Thinking Skills. Rated 4 stars on 1 review. ASIN: B07MFLYBB4. *The Quadity (Paperback) (Nonfiction Deal of the Day, Sponsor, Get answers to deepest questions asked about spirituality, the divine and God, If you liked The Shack) by Jacob I. Pfeiffer. Price: $8.99. Genre: Nonfiction Deal of the Day, Sponsor, Get answers to deepest questions asked about spirituality, the divine and God, If you liked The Shack. Rated 4.9 stars on 33 review. 141 pages. ASIN: B01MZEAI53. *The Passive Income Guide: What is your return on life? (Nonfiction Deal of the Day, Sponsor, Leverage Real Estate Experts to put your Money to Work for you) by John Larson, Keith Weinhold. Price: $1.99. Genre: Nonfiction Deal of the Day, Sponsor, Leverage Real Estate Experts to put your Money to Work for you. Rated 5 stars on 2 review. 66 pages. Paperback version! ASIN: B07GV3ZY1Y. *The King and Mrs. Simpson: The True Story of the Commoner Who Captured the Heart of a King (Nonfiction Deal of the Day, Sponsor, True story, Extraordinary love story between the popular king and the enigmatic woman) by Erin Schulz. Price: $4.49. Genre: Nonfiction Deal of the Day, Sponsor, True story, Extraordinary love story between the popular king and the enigmatic woman. Rated 4 stars on 28 review. 142 pages. ASIN: B001CJ9SHO. *Just Do It! : A 10 Day Mental Detox (History of the Human Race Deal of the Day, Sponsor, Why Humans are Special) by Tiffany D. Johnson. Price: $2.99. Genre: History of the Human Race Deal of the Day, Sponsor, Why Humans are Special. Rated 5 stars on 6 review. 33 pages. Available in various formats! ASIN: B07MH33NWR.